And then, bam! Your baby turned one and was suddenly shaking their head no, spitting out, swiping away, throwing down, and refusing to eat anything. Anything! Ok, except maybe pasta with butter. Every. Single. Day. No fret. We’re here to help. But first, you need to understand why this is happening. 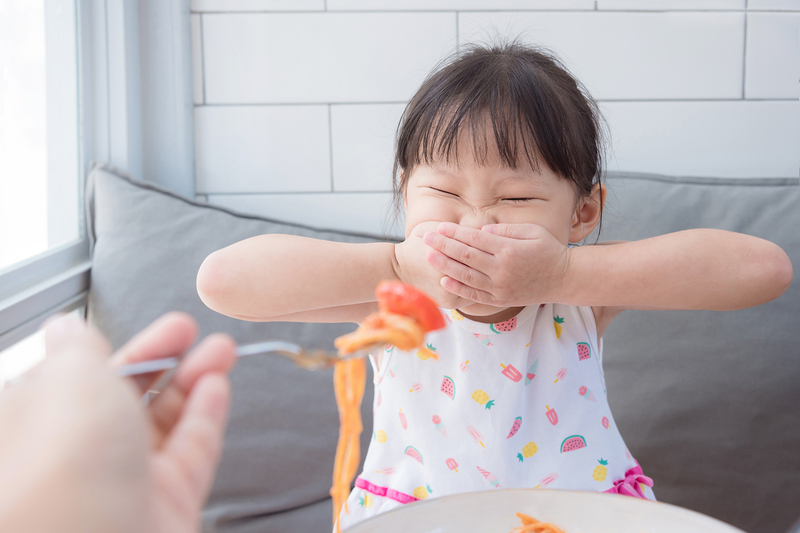 That’s when you need to step back, take a deep breath, and see what you can do to gently nudge your toddler picky eater to start trying more adventurous foods again. Here are our suggestions! Inject laughter and happiness into mealtime. Play games that are fun and will, hopefully, get your child to eat a few more bites than usual. There are so many creative ideas out there, from the “flying food” game (where you put some food on a spoon and pretend to fly it away) to the “reverse psychology” game (where you tell your child not to eat anything on their plate, just watch it for you). Your comical and exaggerated theatrics will work (just about) every time! 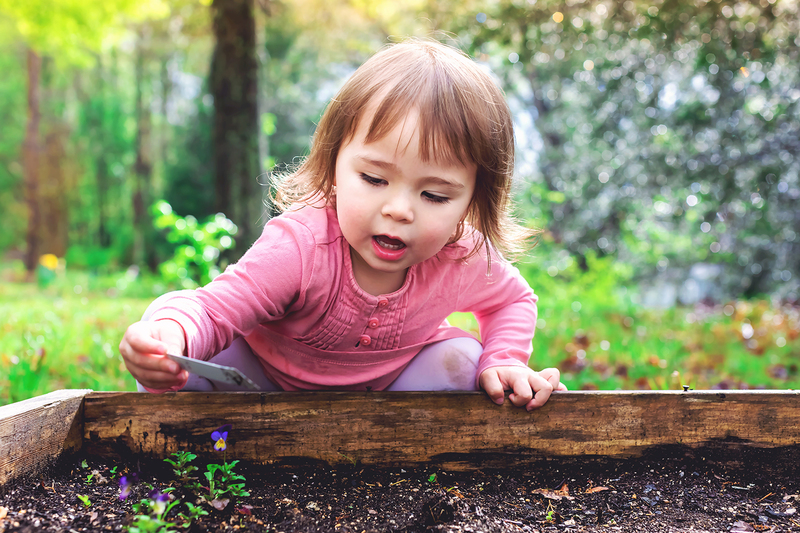 When kids get an opportunity to actually contribute in a hands-on way to their food source, chances are much greater they’ll not only be proud of their hard work, but they’ll be willing to eat the produce, too! Choose a plot as large or small as you have room for. (Or join a community garden if your yard isn’t big enough.) Plan what you’d like to grow, from herbs in pots, to veggies in the ground and berries in raised beds. The trick is to keep it simple and try new things. A sun-kissed tomato or strawberry picked right from their very own garden will always taste better! 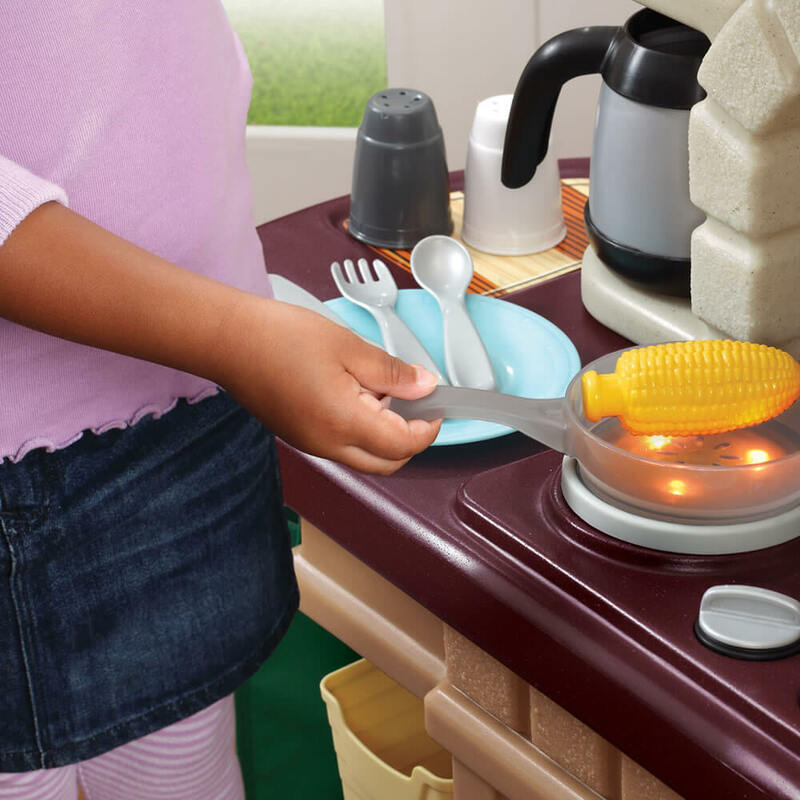 Just the act of pretend cooking will draw your youngster into the exciting world of food. You can role play with them and ask what they’re preparing for you in their play kitchen. Maybe make them the chef of their very own restaurant. Discuss the menu and how they plan to “cook” your special meal. Just the mention of ingredients and food prep may be enough to dispel any apprehensions they may have about “real” food and meals. In other words, the less scary, the better. When your toddler has a hand in preparing the family meal, they’re much more likely to eat it. (At least we’re pretty sure they will.) The trick is to involve them in every stage of the planning, from menu creation and shopping, to cooking and even setting the table. They can assist in basic food prep with your help, including stirring pancake batter, tearing up lettuce for a salad, adding ingredients to a bowl, and assembling a pizza. 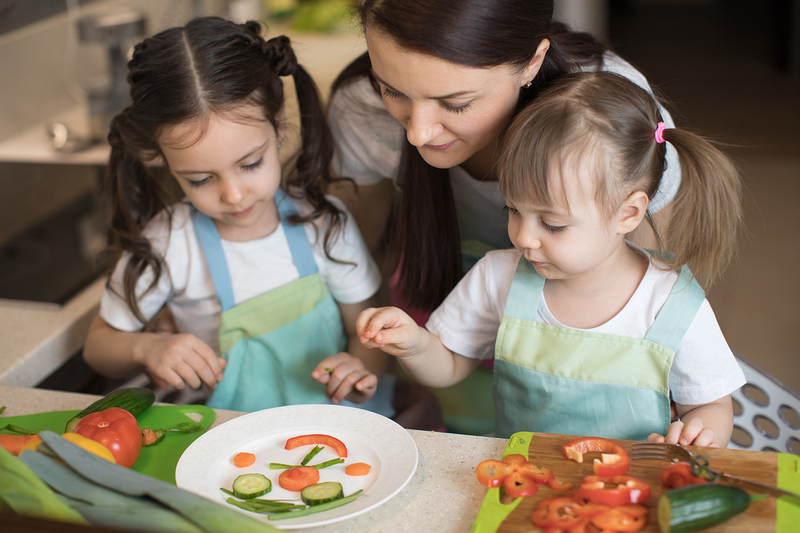 Try kid-friendly recipes that make it easy for them, too! The whole idea is to get them to handle, smell, and touch the food they’re going to be much more willing to eat. 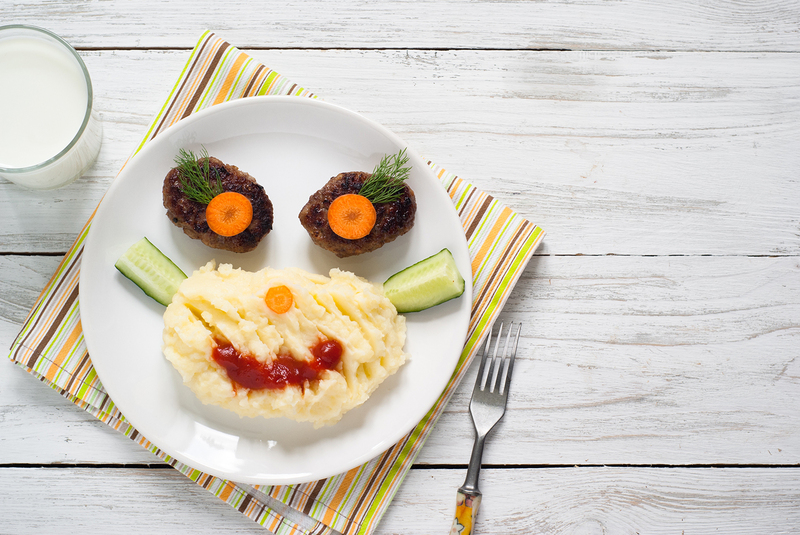 Seriously, what better way to get your picky eater to sit up and take notice than with a dish that features food arranged in the funniest, kookiest way? Suddenly, you’ve got their attention. You’ve got their interest. And chances are pretty good you’ve got their willingness to give it a try, too! Giggles guaranteed. Check online for lots of creative ideas that will help you get started. There are the usual/bland ways to prepare veggies and fruits for your kids (when “yuck!” is a normal response). And then there are the sneaky creative ways to prepare them that might…just might…get them to eat them. 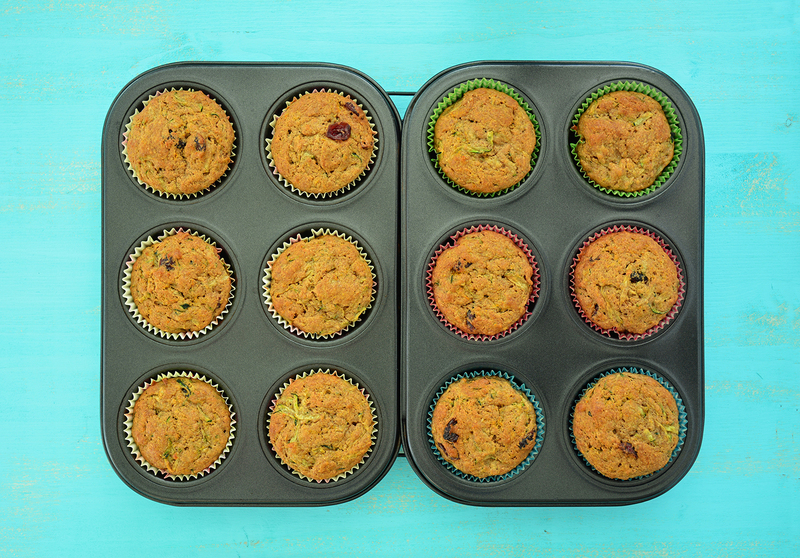 Pick up a cookbook on this very subject, or just download and print our free recipe card for tasty zucchini muffins (slyly renamed Green Speckly Muffins). They just happen to be how one of our own peeps gets her grandkids to eat their squash. Hey, all’s fair in this game! Do not—we repeat, do not—be afraid to occasionally take your little human to a big-human eatery. (But please be considerate of your co-diners and try to choose one that’s kid friendly.) There are many to be found, from your local mom-and-pop diner, to specially hosted kid meals at upscale restaurants all over the world! This is yet one more way to open your child’s eyes (and their taste buds) to trying something new and totally delicious. You just never know. Download the FREE recipe card for Speckly Muffins here!